This College is accredited by NAAC A (National Assessment and Accreditation Council) validity is 29 Oct 2022 and the score is 3.1 . BNMIT is a very good college. Being one of the best colleges under VTU, I would recommend this college because of its awesome campus, a very good infrastructure and facilitiies. The faculties here also are very well versed. The campus placements are also much better than many VTU colleges.But regarding sports and hostel life, they have to be improved further. Overall an awesome college to join. 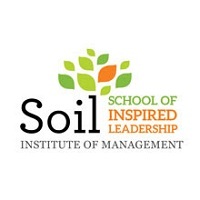 One of the best colleges located in South Bangalore! 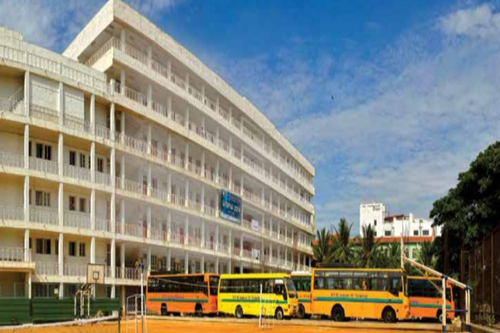 BNMIT is a very good college located in South Bangalore. Faculty are very good here.It also great placements in both IT and core companies. The only negative point about this college is that it has very strict rules and regulations. But it is a good college to join to enjoy college life and to get good placements. 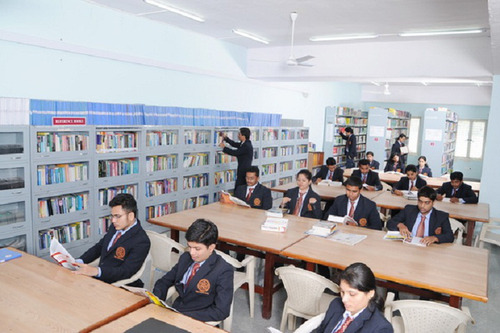 BNMIT has a very strict academic environment with very stringent Attendance Requirements. 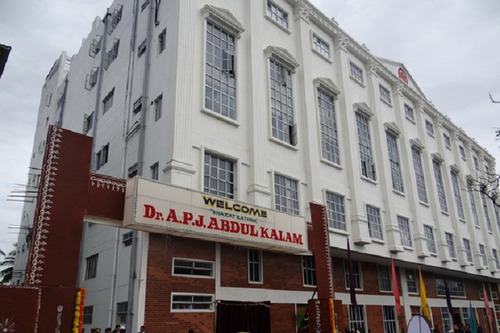 It also has good laboratories compared to most private schools in India and has a very good Faculty. Campus Placements are quite good, students are placed in reputed companies like Infosys, TCS, IBM , Robert Bosch , Siemens etc. Students from all over India are treated with fairness and no regional preference. Good students are always rewarded. However, I feel students should not be spoon fed and Research should be encouraged , though Spoon Feeding is common across most private schools in India. Overall I feel that this is one among the best colleges in Bangalore and I recommend my juniors to join and be a proud BNMITian. So far so good. t's been a good experience. There is an excellent garden in the front. A lot of water lilies in the garden, a lot of them and it is very nice to see. Decent engineering college. Strict rules. The teachers are extremely helpful. 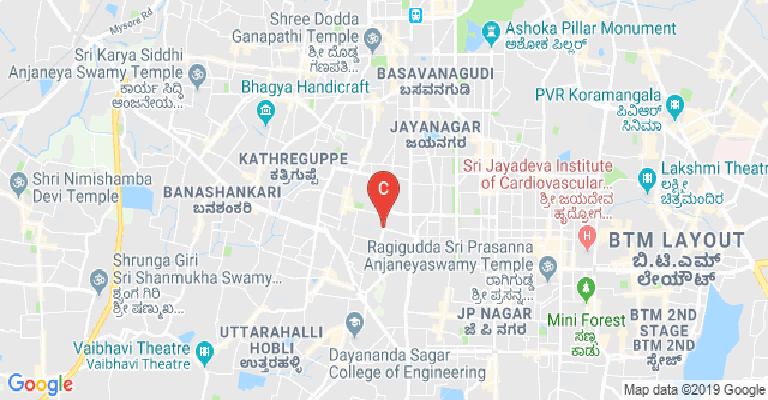 The placements are also extremely good.An indoor badminton and tablebtennis court is also there with a huge auditorium.The parking space is very limited and is only for two wheelers. For mechanical engineering BNMIT is better or PESIT? should i join DSCE OR BNMIT for cs .which is better in terms of placement and college life? 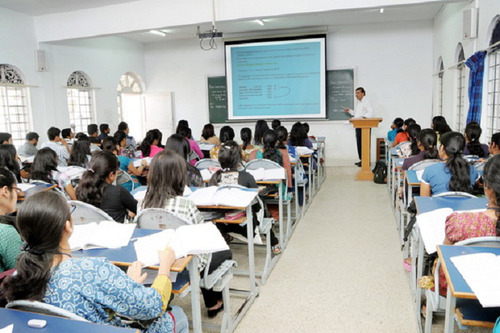 How is bnm institute of technology and management bangalore for cse? 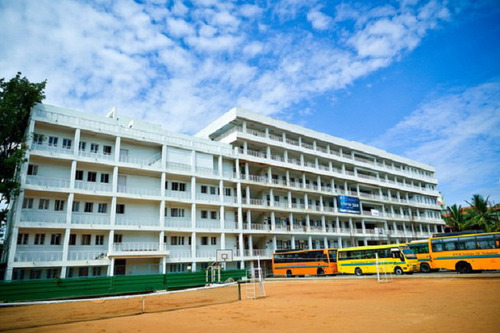 The BNM Institute of Technology (BNMIT) is located in Bengaluru, the capital city of Karnataka. It was established in the year 2001, and covers an area of 4 acres worth land. The institute is named after, Shri Bhageerathi Bai Narayana Rao Maanay. The BNMIT is affiliated to the Visvesvaraya Technological University (VTU), located in Belagavi, also in Karnataka. This affiliation ensures approval of the UGC (University Grants Commission). It has been accredited by both the NBA (National Board of Accreditation) and the NAAC (National Assessments and Accreditation Council), earning an A grade rating in the latter. A separate IQAC (Internal Quality Assurance Cell) has been created to this end, to ensure that all the terms of the NAAC are complied with. An AQAR (Annual Quality Assurance Report) gets generated to quantify the results. The BNMIT is run by the BNMEI (BNM Educational Institutions), which is a trusteeship, founded back in 1972. This group also runs primary schools, higher secondary schools and a degree college, all in the state of Karnataka. The technical courses in the institute are recognized by the AICTE (All India Council for Technical Education). 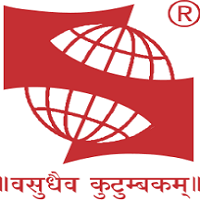 It is also an ISO (International Organization for Standardization) certified institution. The BNMIT has also taken up membership of several professional bodies. These are for- ISTE (Indian Society for Technical Education), BETA (BNMIT Electronics & Telecommunication Association), CSI (Computer Society of India), AEEE (Association of Electrical and Electronics Engineers) and the ACSIS (Association of Computer Science and Information Science). 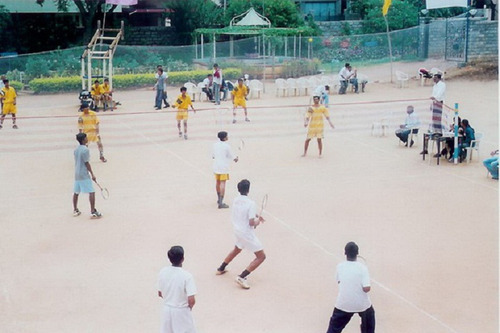 Tatva is the name of the main college fest held on campus. Courses are available at the BNM Institute of Technology in Bengaluru, for both the UG as well as PG levels. At the undergrad level, the BE programmes are available for the engineering areas of- Mechanical, Computer Science, Information Science, Electronics & Communication and for Electrical & Electronics. At the master’s level, the courses get more technical. So, the M. Tech programmes are available for the areas of- Software Engineering, Computer Network Engineering, Computer Science & Engineering, Computer Applications in Industrial Drives and for VLSI & Embedded Systems. To top it all up, the BNMIT also provides an MBA here. The institute has also been proactive enough to open the Vidya Lakshmi portal. This portal helps students get facilitated to timely study loans. The portal is aligned to the Indian Banks Association (IBA). Admissions to these programmes is on merit of class XII examinations, as well as on the basis of nationally, or state- wide recognized entrance examinations. Some of the entrances recognized here include the CET (Common Entrance Test), K- MAT (Karnataka Management Aptitude Test), CAT (Common Admission Test) and the MAT (Management Aptitude Test). The entire academics, here at the BNMIT is run by a cohort of departments, each possessing expertise in its own area. There are such separate departments for each of the programmes on offer at both the UG and PG levels. In addition, there are academic departments for Civil Engineering, Humanities, Physics, Chemistry and for Mathematics. 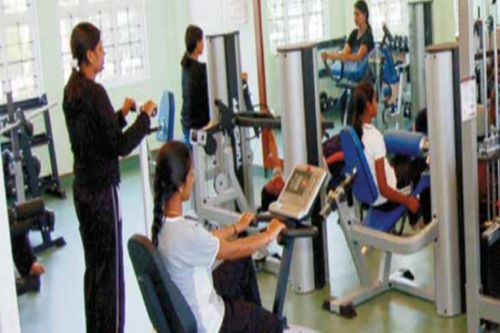 The non- academic departments are the ones for Physical Education and for Placements & Training. Research is another key component of the BNMIT. Each department has taken up some form or the other of research. Several consulting assignments have also been taken up in conjunction with external bodies. There is an agreement with the tech firm VEE Technologies, for a lot of research and consulting collaboration. 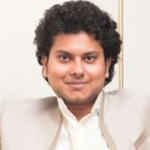 Apart from this, the Department of MBA has been involved in several such assignments. Some of the key bodies or organizations that have collaborated with this department to this extent include- the Gopalan Skill Academy, Manthan Committee of FKCCI, Fiscal Policy Institute (Government of Karnataka), Yamaha, Learnito Education, Felder Group and the Samveda Training & Research Centre, besides the earlier mentioned, VEE Technologies. The campus is Wi- Fi enabled. Science laboratories too have the latest of equipment. The library here is one of the best stocked within the region. Besides the physical books on display, it also provides digital access to en number of international academic journals for research and academic purposes. All this has led to highly respectable rankings across platforms. The NIRF (National Institutional Rankings Framework) by the MHRD (Ministry of Human Resource Development) has placed the BNMIT within the 101- 150 band for the category of engineering colleges. The placements have likewise been quite good. Some of the key recruiters in recent seasons have been the likes of- Accenture, PEOL Solutions, PRDC, HCL, HDFC Bank, Aricent, Amazon, Aspiring Minds, Aris Global, Atos, Azim Premji Foundation, Harman Group, Furnify, RIL, Rivigo, Bosch, HP, Capital First, Byhu’s, Capgemini, Book My Show, Jus Pay, Huawei, IBM, Infosys, TCS, 42 Hertz, TDPS, Samsung, Sapient, Tech Mahindra, Yahoo, Zopper, NEC Technologies, Toppr, National Instruments, L&T Infotech, Manhattan Associates, Lowe’s Companies, Myntra, Mphasis, NTT Data, Mind Tree, CSS Corp, Delta X, CGI, Cognizant, Tiny Steps, Wipro and many more. This College is accredited by NAAC (National Assessment and Accreditation Council) A validity is 29 Oct 2022 and the score is 3.1 . Boys Hostel :The boy's hostel located close to the institution is well equipped to accommodate about 150 students with facilities like the home away from home. 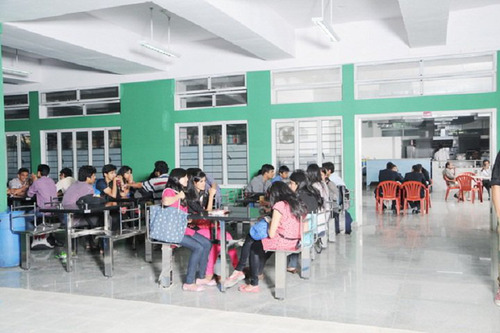 All the students are provided with a Study Table, a Chair, a Cot and a Cupboard for comfortable stay and studies. The mess is well equipped with stainless steel kitchen equipment and other facilities. 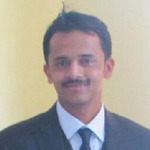 A residential warden stays at the hostel to take care of the needs of the students all the time. A 24 hours security is provided at the hostel for the safety of the students. 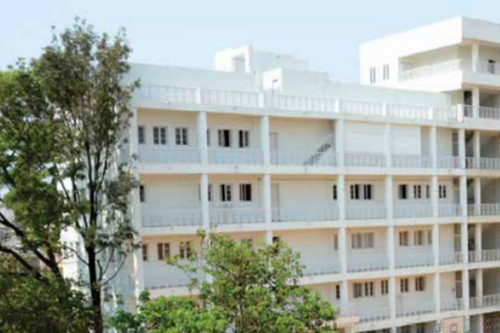 Girls Hostel :The girl's hostel located in the campus is well equipped to accommodate about 150 students with facilities like the home away from home. All the students are provided with a Study Table, a Chair, a Cot and a Cupboard for comfortable stay and studies. The mess is well equipped with stainless steel kitchen equipment and other facilities. A residential warden stays at the hostel to take care of the needs of the students all the time. A 24 hours security is provided at the hostel for the safety of the students. 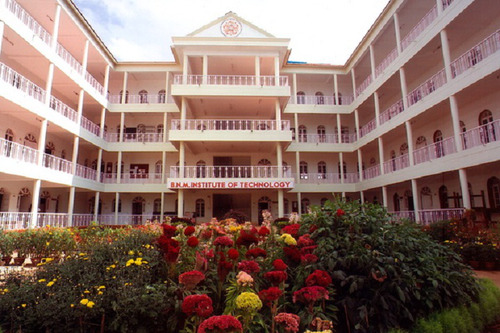 Medical/Hospital :The college has health center with first aid facility for the students. Gym :Students are encouraged to use two state-of-the-art gymnasiums housing the best of equipment imported from the USA and South Korea for boys and girls. Students are also provided training from qualified fitness trainer on de-stressing, stretching and scientific breathing. They are also given opportunity to take part in Art of Living program for overall improvement in health and memory power. Library :The modern Library &amp; Information Centre provides uncompromising information and intellectual requirements to its students and faculty members with a user-friendly approach. It offers a fully integrated and dynamic environment for conducting the academic study. Multiple copies ensure that resources are easily available in Reference Section and Circulation Section as well. The Digital Library is set up by using open source DSpace Software to access the Institutional Repositories like e-books, e-journals, faculty publications, etc, by the students and staff members. 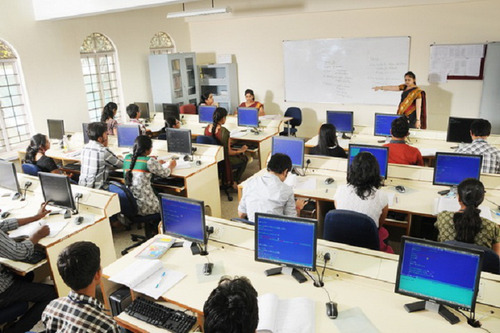 I.T Infrastructure :The Laboratories are very well equipped with latest computer systems and peripherals. 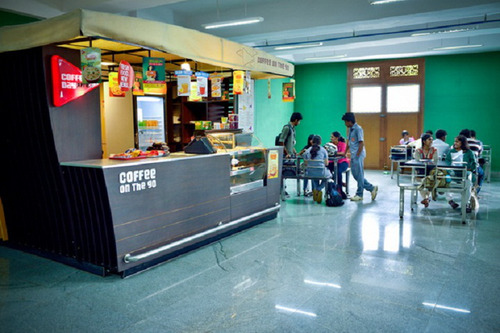 Cafeteria :BNMIT campus houses a hygienically maintained canteen in picturesque surroundings serving food to students through the day apart from catering at cultural and other congregations in the campus. 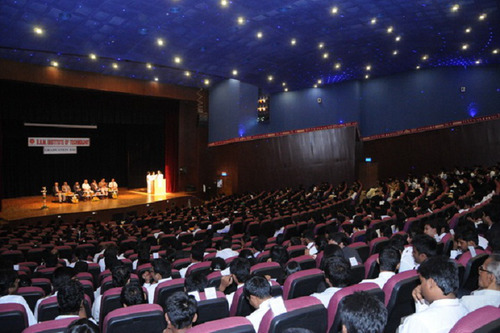 Auditorium :The college has spacious Auditorium. Each block has individual seminar halls which consist of Auditorium block seminar hall has the seating capacity of over 180, the Main building seminar hall has provision for 220 seats and the New building seminar hall houses seating capacity of 110. Transport Facility :BNMIT provides transport facility and busses are flying from different locations of Bangalore at convenient timings. Desirous students can avail the facility. Laboratories :The Laboratories are very well equipped with latest computer systems and peripherals. 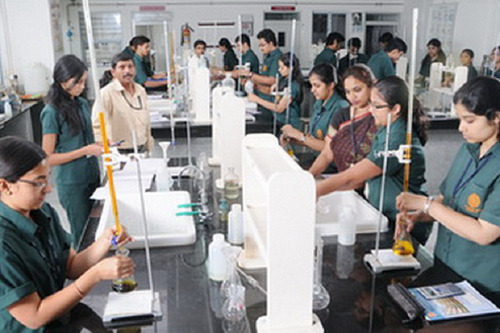 All the laboratories at BNMIT have the best available equipment in India and outside, which are comparable to IIT’s. These equipment are installed inefficiently designed workspaces in the labs which are spacious, well-lit and ventilated for the best possible practical knowledge acquisition. Banks/ATMs :The college has bank and ATM within the campus.